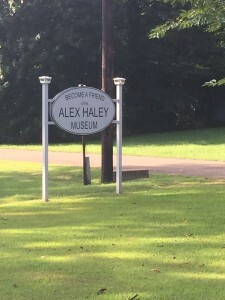 We drove to the Alex Haley House Museum and Interpretive Center, about an hour outside of Memphis, after our tour with Heritage Tours, Memphis. I’d read about the museum and put it on my must-see itinerary, so I was grateful when one of our new friends from the conference offered us a ride in his rental car. Once we finished the film, we explored the Interpretive Center, which we learned later was built to look like a nautical vessel in honor of Haley’s time in the US Coast Guard. One exhibit in the visitors center was a temporary exhibit, Slaves and Slaveholders of the Wessyngton Plantation, but the bulk of the Center is taken up with panels about and artifacts from Haley’s life and work, including images from his visit to Juffure, Gambia, where his alleged ancestor, Kunta Kinte grew up and was kidnapped. 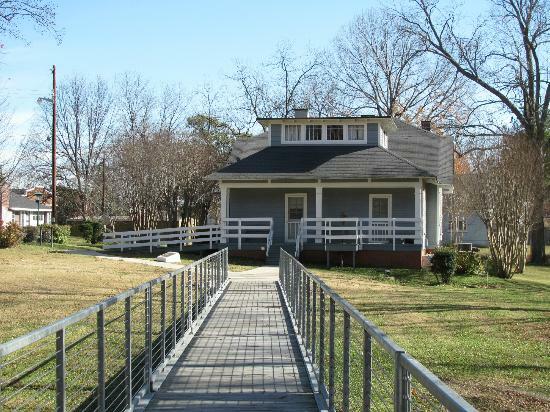 Once we’d explored the entire Center, Richard took us across a long, and according to Richard, expensive bridge to the house, which was the home of Haley’s maternal grandparents, the Palmers. 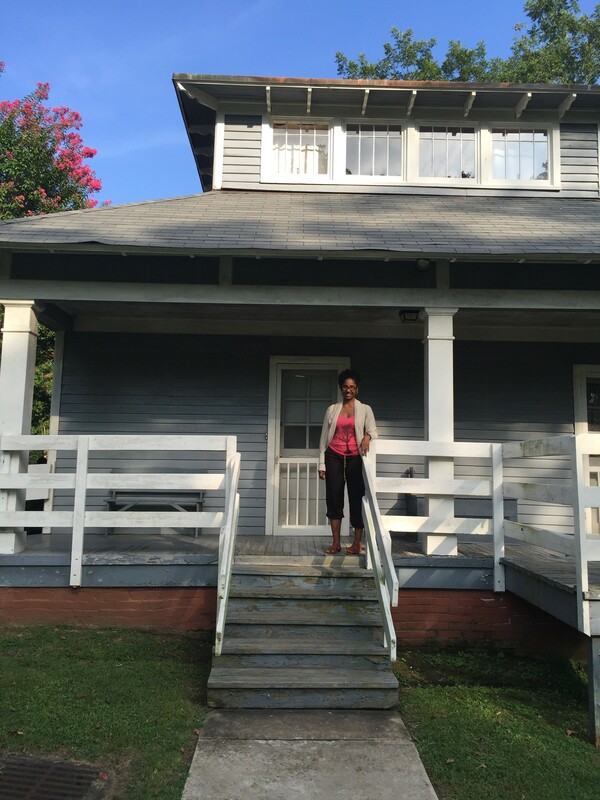 The house was built in 1919 by Haley’s grandfather, Will Palmer, who was an influential citizen in the town of Henning, Tennessee. Haley lived there with his grandparents off and on for eight years as his father pursued advanced degrees and other ambitions. 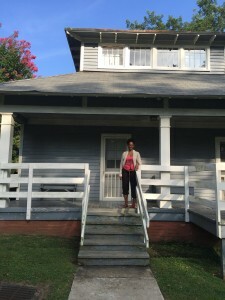 What stood out most about this home was the idea that the original furnishing and decor had been lost over the years, and when the state of Tennessee designated the house to become a museum, the curators painstakingly recreated the inside of the house according to Haley’s memories of his childhood. Richard also told us stories of Haley’s childhood, especially about his memories of hearing his grandmother talk about their ancestors, telling stories that ultimately inspired him to write Roots. 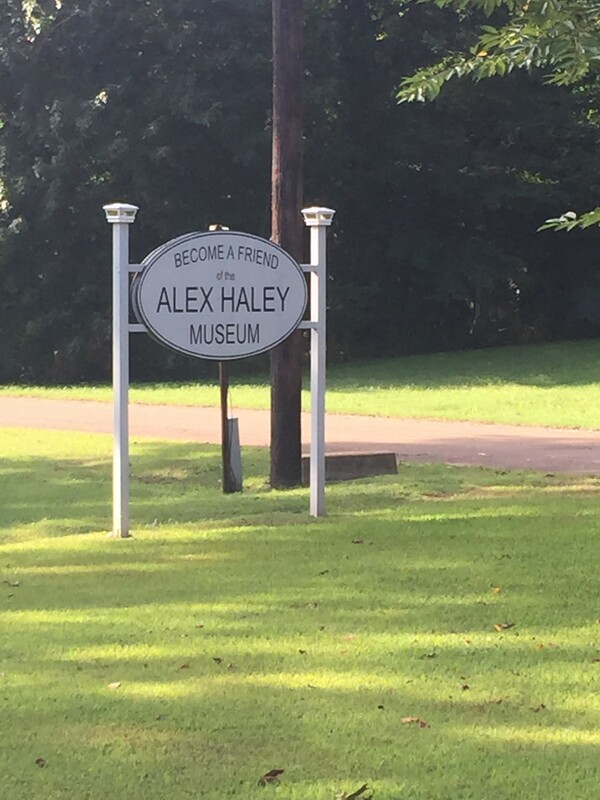 Unlike the Withers Gallery, where there is no recognition of Withers’ role as an FBI informant during the Civil Rights Movement, the Interpretive Center does contain some allusion to the accusations of plagiarism launched against Haley after Roots was published. However, just a little bit of cursory research uncovers article after article dispelling the myth of Roots as a historical account of Alex Haley’s lineage. There is no mention of these issues, seemingly understood by historians, in the museum. This omission reminds me of the role of folklore in the African-American community, which first caught my attention in the Slave Haven Underground Railroad Museum we visited that same morning. As I consider the “sins of omission” of the Withers and Haley museums and people’s willingness to treat folklore as fact in the interest of maintaining the community’s narrative about our heroes or about our own history, leads me to think differently, less idealistically, about Our Museums. 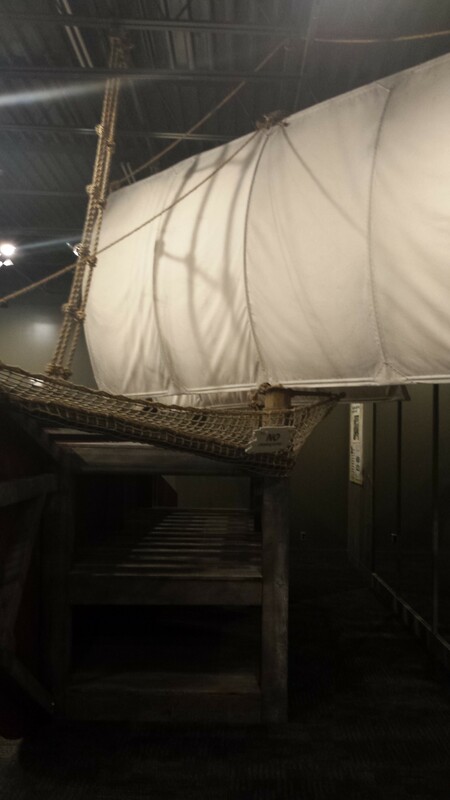 After visiting nearly forty African-American museums and exhibits, this experience inspired a litany of questions: Are the legends in our communities so vital to us that we ignore facts in order to maintain them? Do we sometimes take advantage of people’s ignorance? Is our need for heroes like Withers and Haley so great that we are willing to pretend their reputations are pristine? Are the “politics of respectability” so powerful in our communities that we cannot acknowledge the complex multiple dimensions of our admired figures? Are our museums so vulnerable that any admission of imperfection could lead to de-funding and closure? I will continue to pursue answers to these questions as I proceed with my mission to visit all of Our Museums. 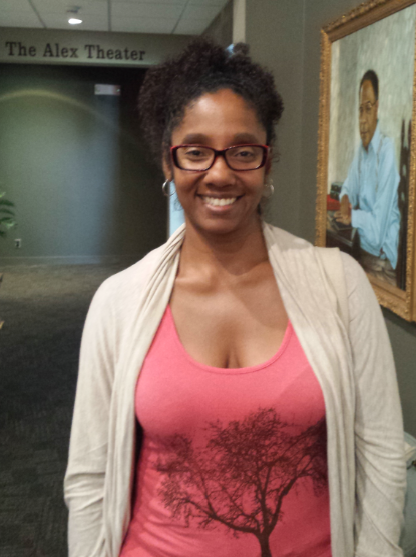 Check back next week to read about my visit to the Tina Turner Museum and the West Tennessee Delta Heritage Center.